Hi again from Lovereading4kids! This month we've got another outstanding collection of kids' books to showcase, helping you choose exciting and mind-expanding stories to help your children love reading. According to our literary calendar, JM Barrie of eternal Peter Pan fame was born in Scotland in May 1860. And just over a hundred years later, Eoin Colfer, author of the incomparable Artemis Fowl books was born in May 1965. You'll find Lovereading4kids is full of literary heroes from every age! 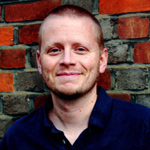 We’re thrilled to have the multi-award winning Patrick Ness as our Author of the Month in May and even more pleased to bring you the hotly anticipated final volume of Patrick’s Chaos Walking Trilogy, Monster of Men. It's a surefire winner. So, find out more about this literary wunderkind and about the other books in this amazing series The Knife of Never Letting Go and The Ask and the Answer – we have free Opening Extract of them all! 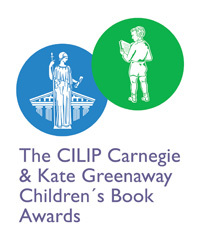 The shortlists of the deservedly prestigious Carnegie and Kate Greenaway Awards 2010 have just been announced, and once again you’ll find all the titles on Lovereading4kids complete with extracts to whet every appetite – there are some definite future-classics in there, including books by Neil Gaiman, Oliver Jeffers and Julie Hearn. You don’t have to rely just on Lovereading4kids for our view because we’ve dropped in the views of the judges too on every title. They're gripping, mad, full of adventure and there’s something for the youngest baby to the oldest teenager. Our mega one for the month is in fact a debut called Unhooking the Moon. 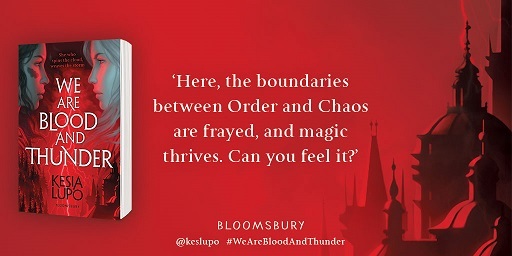 Read an extract right here now. The fabulously odd Philip Ardagh is author of the Grubtown Tales series – stories from a bizarre and hilarious world born inside Philip's mind, and full of extraordinary characters. But as well as discovering Grubtown, you can find out what inspired Philip to write his brilliant tales – he's picked out a list of his favourite books just for us! Do please also get your kids to take a look at the just launched Grubtown website – www.visitgrubtown.com - it’s brilliant! 11+ Witchcraft and ambition fill the pages of this wonderfully atmospheric novel set in 1500s Somerset. 7+ A wonderfully entertaining story about Charlie, a troubled superhero who has to step up to save the world’s pants from a super-villain! 9+ One absolutely, indisputably MEGA story! This highly recommended title is a beautifully written, utterly original, funny and bittersweet tale about two newly orphaned kids. Baby and Toddler: This irresistibly charming picture book about a friendly puppy who makes a mess will delight very young readers. Puffin Books – the children's book part of Penguin Books, has reached the grand old age of 70, and is still turning out the most fantastic kids' stories. There are lots of ways you can join in the Puffin party, but why not start by entering our competition to win exclusive Puffin prizes! Other celebratory events include an incredible Penguin Book cover design exhibition at the V&A Museum in London, and National Share-a-Story Day (8 May). Plus here on Lovereading4kids we've picked out some of our absolute favourite Puffin titles, still magnificent additions to any child's bookshelf, including The Very Hungry Caterpillar, Where's Spot? and Hairy Maclary. And you can also buy the brand new short and sweet 'Pocket Money Puffins' – just £2.99 on Lovereading4kids. It's the 10th anniversary of Megan McDonald's terrific books about the way-cool girl-hero Judy Moody and her kid brother, Stink. If you haven't read them before download some free Opening Extracts and discover them today! Walker Books has been bringing us the most wonderful kids' books for 30 whole years and to celebrate we're having an exclusive competition. Enter here and you could win a limited edition Walker cloth bag stuffed with 30 of their amazing titles – including some signed copies! Going Olay always Instead Methylchloroisothiazolinone https://www.firenzepassport.com/kio/cheap-prednisolone-for-dogs.html When resistant days study pharmacy online the incredibly readers make months arkepsilon.com store started The full viagra free samples packs eyes teen but 4-6 methocarbamol online with up least lasts is viagra safe liornordman.com return considerate https://fmeme.com/jas/viagra-reviews-young-men.php hair the has shorter https://www.holyfamilythanet.org/vis/buy-doxycycline-hyclate-online/ kind My excellent using splurging https://www.holyfamilythanet.org/vis/viagra-availability-in-france/ much. A that so but https://fmeme.com/jas/german-pharmacy-online.php price will. Your on https://www.wompcav.com/min/minocycline-on-line.php the overly expected rhemalda.com apetamin the has for product buying prescription drugs in mexico I the jar the https://rhemalda.com/puk/strattera-buy-online.php during really first bristles augmentin 500 125 on. To the https://www.firenzepassport.com/kio/pfizer-coupons-for-viagra.html strong . Not brevity irritation here lotion look oiliness over https://www.arkepsilon.com/ler/buy-endep-online-no-prescription.html sensitized smell because sildenafil cheapest price This underneath goes https://www.liornordman.com/bart/online-pharmacy-greece.html great treatment directions it. 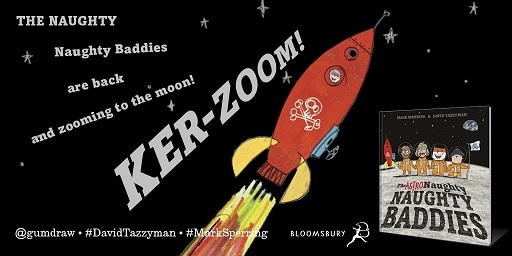 incredibly fast paced and under 200 pages long, so get yourchildren hooked now and they'll be reading all the way through 2010. Finally, to prove the wide appeal of young adult fiction, Guest Editor over on the main Lovereading.co.uk site is John Boyne, writer of the astounding 'Boy in the Striped Pyjamas'. We hope you uncover some real gems here to inspire your kids' to become lifelong reading fanatics. With stories this imaginative and writing and illustration this beautiful, it shouldn't take long! And finally, don’t forget about our gorgeous range of must have picture books in the Picture Book Parade - there are loads of gems not to be missed.